I am a graduate from the doctoral program of Linguistics at the University of Utah. Between August 2011 and June 2013, I worked at the University of Utah in the Center for Teaching and Learning Excellence. In the Center, I served as a Higher Education Instructional Consultant. I had the pleasure of working closely with instructors and faculty at the University to ensure high quality course design and delivery in departments campus wide. It was an interesting journey, exploring both the content and instructional strategies of various disciplines, ranging from Physics and Biology to Chinese Language and Nursing. 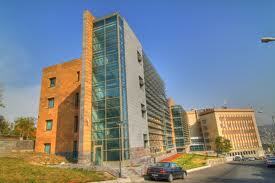 In 2013, I joined the faculty in the MA TEFL program at the American University of Armenia for two years. I was thrilled to be part of this community and greatly value the personal and professional growth that I experienced while living in Yerevan! In the fall of 2015, I returned to the USA and joined Saint Michael’s College as an Assistant Professor in the Applied Linguistics Department. I teach graduate courses in the MA TESOL Program and undergraduate courses for the minor in Applied Linguistics. My academic interests lie in the field of teacher education, but specifically I am interested in supporting second language teachers of refugee-background students. My dissertation, entitled Emerging from the Echo Chamber: An Activity Theory Perspective on L2 Teachers of Adult Emergent Readers, explored the lived experiences and challenges of second language teachers working with adult English language learners. These learners arrived to the learning context with interrupted formal schooling experiences and no former opportunities to acquire print literacy in any language. I have since continued researching and writing about the experiences of refugee-background adults, the development of second language teachers, reflective teaching and teacher education. See my complete CV here. Join me on Academia.edu or LinkedIn.com.